The United States Lifesaving Service was founded in 1871 after an alarming number of fatalities occurred along the Atlantic coast during the winters of 1870 and 1871. 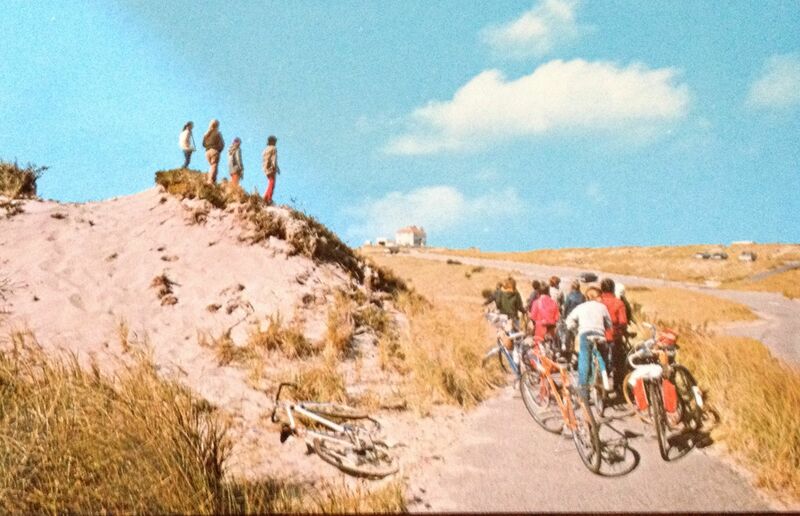 The stations were manned by expert surf men and boat handlers who patrolled the coast at night and during foggy and stormy days. The buildings where equipment was stored were painted red so they could be seen from the sea and a sixty foot flagstaff signaled passing ships by International code. 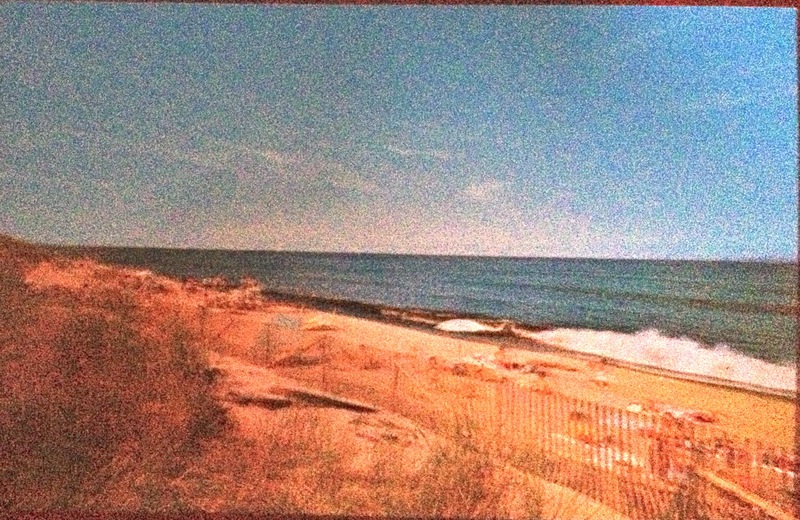 Nine lifesaving stations were built on Cape Cod in 1872. 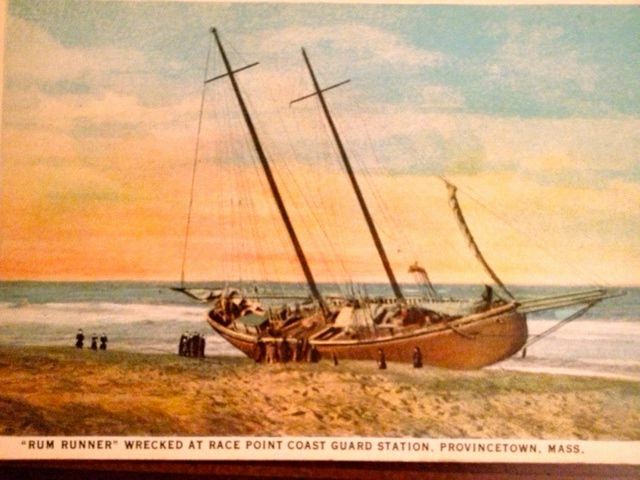 Captain Samuel O. Fisher was one of the Race Point station’s keepers and he had a horse that would help the crew by dragging the heavy boats and equipment across the sand. 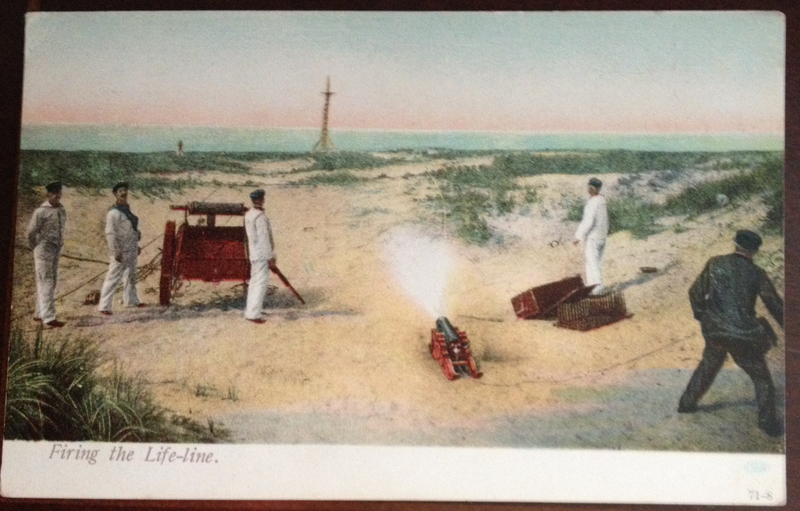 Postcards that show the work of the early Cape Cod Lifesaving Service are highly desirable. 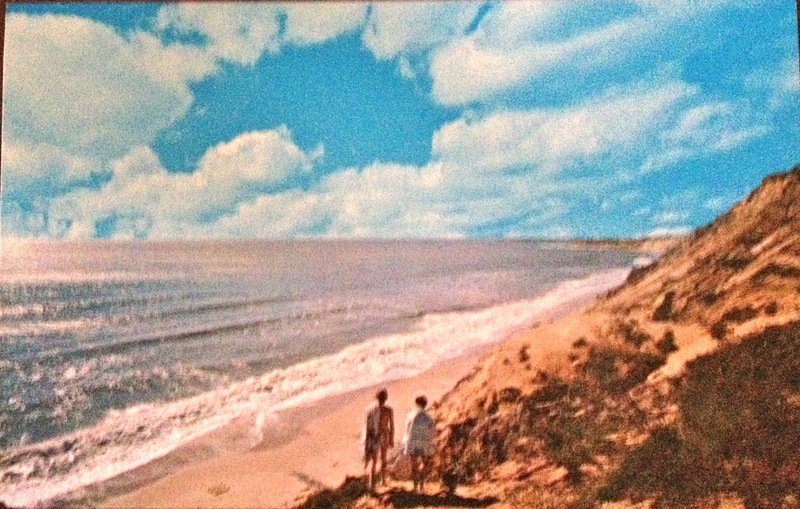 It was a these types of antique postcards that Sonny Carreiro was looking at before he drives back to Provincetown and is inexplicably murdered. Want to know more about the mystery? 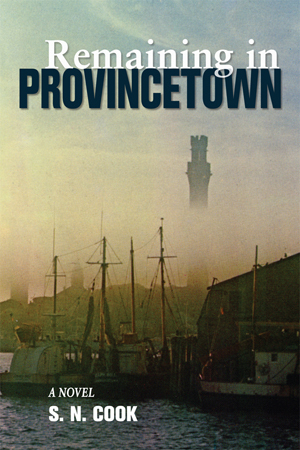 Read the new novel, Remaining in Provincetown by S.N. 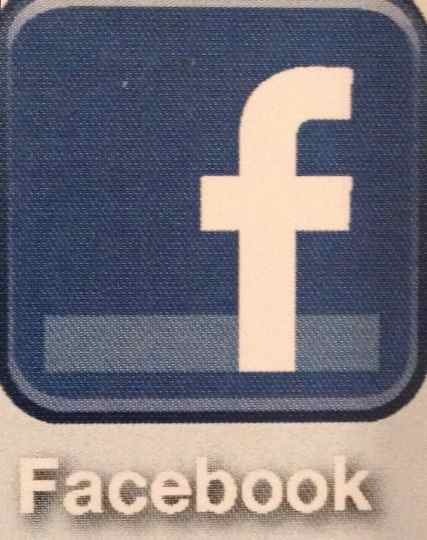 Cook available at bookstores, including signed copies at the Provincetown Bookshop and online in trade paperback and as an ebook.Like us on Facebook and keep the conversation going. Stormy seas like the seas we’ve been experiencing on the Outer Cape the past few days mean danger for ships. Particularly in the past before radar and satellite tracking technology many ships crashed on the sand bars and drifted to shore. 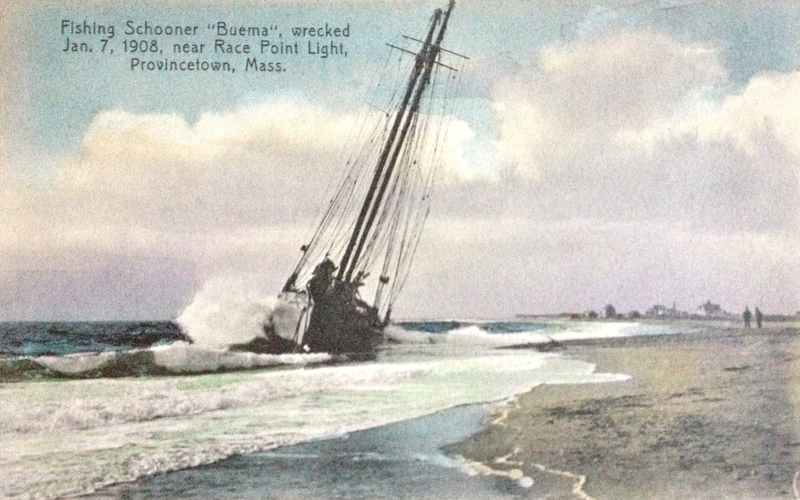 This old post card shows a “Rum Runner” stranded on Race Point Beach at the tip of Cape Cod, now part of the Provincetown National Seashore, near the Coast Guard Station. 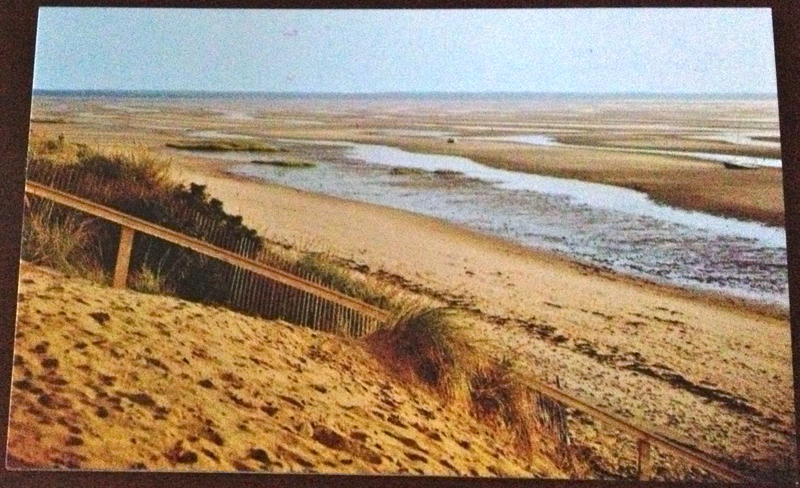 Stormy weather in the soon to be released novel, Remaining in Provincetown?